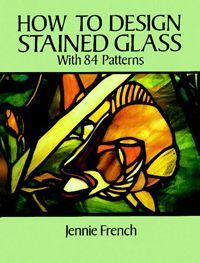 Learn the basic principles and techniques of stained glass design. Among the key topics: design sources, enlarging and reworking, abstract and representational design, and how to design flat as well as 3-dimensional projects. Includes: 84 designs for projects: flowers, leaves, animals, birds, landscapes, architectural studies, and more. 209 illustrations.